De Panconk, Jl. Pengampon, Surabaya, Indonesia - my name is Food. At first, I wasn't sure myself what it was as we were heading to an old but delicious noodle shop on a Sunday morning after we just had finished church. 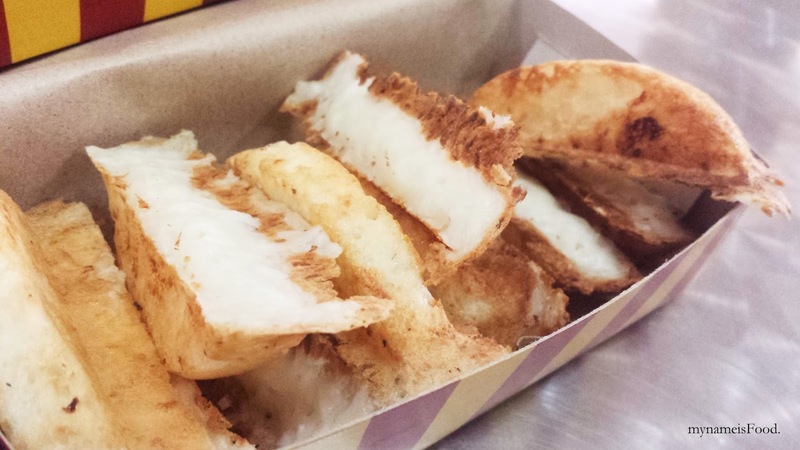 These little so-called cakes are called Kue Pancong (Pancong Cake) or maybe you could just call it Coconut cakelets. It is a very popular snack where its shape is always in a Semicircle shape. To be honest, they kind of remind me of another Indonesian snack called Kue Rangin which differs only by the type of sugar they use. The way they make these little coconut goodies is by having those specific pans such as pancake pans or Takoyaki pans that has those black hot plate grill types but these were shaped in semi circles. First, they lightly grease the pan with margarine then pour in the Pancong cake mixture (coconut, rice flour, coconut milk and salt). The ingredients do look simple and maybe it is doable to make at home.. It takes a few minutes to cook and there are a few variety of flavours you can get it in. If you would like a sweet version, then there are also Chocolate or Cheese or Chocolate and Cheese or Chocolate and Nuts and so on versions available. It was quite quiet when we saw the man standing near the noodle shop so we thought we'd help him out by buying some since I haven't had them for so long. We decided to buy 2 boxes of them which contain about a dozen in each box. While the rest of my family sat down and ordered in the noodle shop, I decided to wait and watch him make it. He was very generous with the toppings as well as taking care of each of them, continuously checking if they were cooked or if they are done or not. 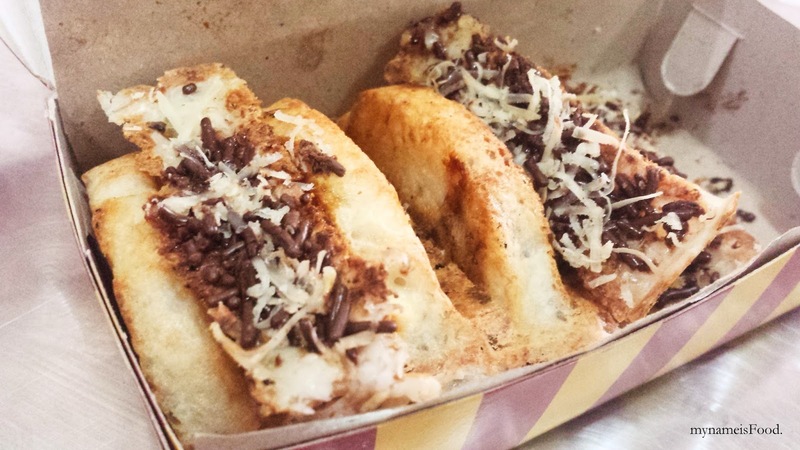 He was also quite generous with the amount of shredded cheese and chocolate sprinkles on top of the other set of the Pancong cakes. 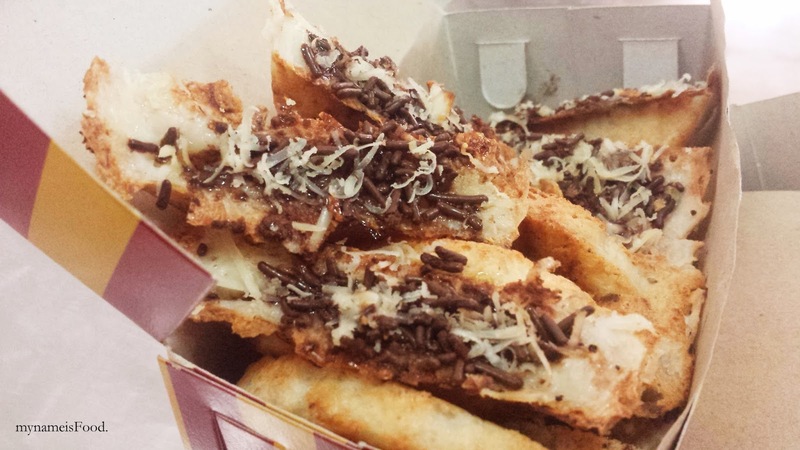 We decided to buy the 'Original' and the 'Chocolate Cheese'. As for the 'Original', the flavour was subtle however there was abit of sweetness from the slightly melted sugar that was drizzled on top. The outer layer of the cake was crispy and very hot while the inner side was moist and you are able to taste how much coconut has been put in. As for the 'Chocolate Cheese', it was topped with grated cheese and chocolate sprinkles and although I do love chocolate and cheese together whether it may be on a toasted bread or just plain, or even in another Indonesian dessert/snack called Martabak, I have to say that I actually preferred the Original Plain version better. 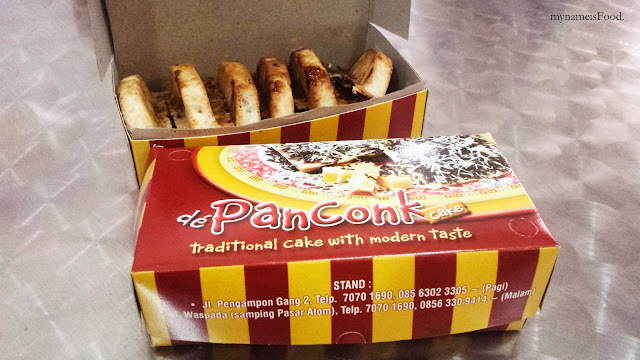 What was great about it though was the fact that even if there were chocolate and cheese on top, it didn't overpower the natural taste of the Pancong cake itself. It was just more of an add-on and giving it extra sweetness. 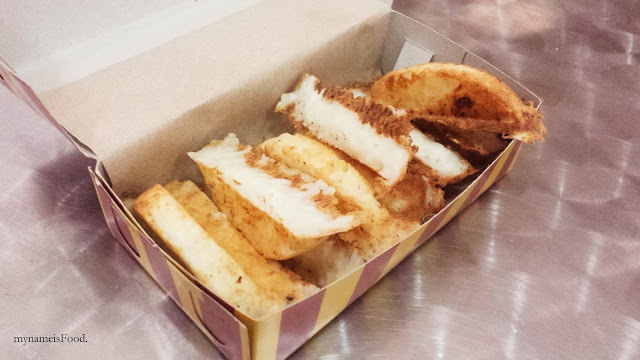 Sometimes old and traditional snacks aren't sought for as much since the boom of various desserts and new snacks nowadays and due to marketing and also advertisements as well as social media, it has made people forget our own childhood as well as share with their children about it. The social media has made us want to try new restaurants, new cafes, new clothes, look more like this model or be skinnier and so on, revolving around body image and self satisfaction as well as people around the world tend to follow others, what's going on, following what's hyped and what everyone is liking. May it be these traditional snacks or those childhood candies and chocolates such as Chinese Hawflakes, Candy Rings, Choki Choki Chocolate, Haribo Candies, Push pops, Hubba Bubba and so on. Sometimes there is a time to embrace and remember the good and fun things we use to eat and try and see if nowadays, they are still around or not.